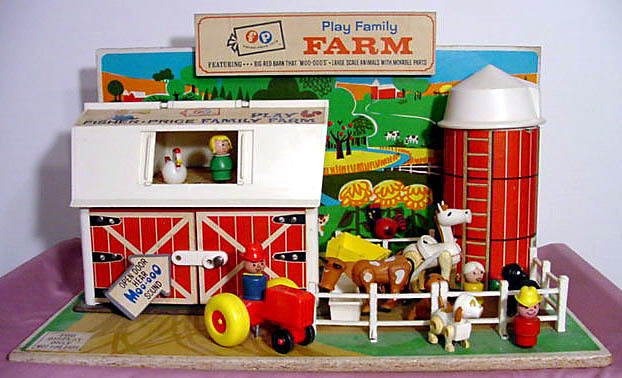 Description: This is a display unit that was sold to retail stores to display the #915 Play Family Farm to store customers. All of the pieces sold in the #915 Farm set are permanently attached to the display base. This display is very rare and quite valuable! Pressed wood rectangular display with a pressed wood rectangular backboard with farm designs. The display has a farm base and all accessories sold in the #915 permanently attached to the display board.